It looks like Monday nights council meeting is going to be a hot one. 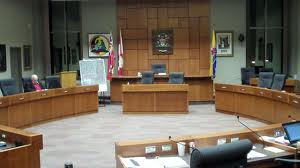 Up for discussion will be Councillor Linda Rydholm's proposed plebiscite question on the event centre. It reads as follows: Are you in favour of City Council continuing with the process to build the proposed Event and Convention Centre in Thunder Bay? As well it's expected that a number of people will ask to speak about the proposed plebiscite.